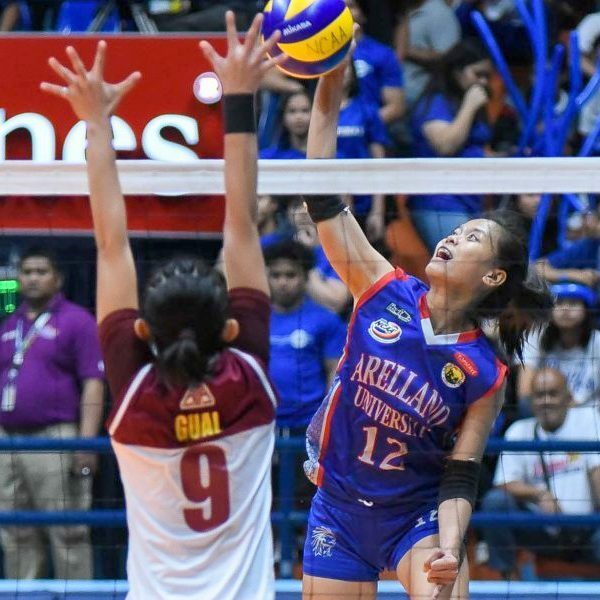 Arellano University won their third straight NCAA women’s volleyball title after beating University of Perpetual Help System DALTA-Atlas (UPHSD Altas) in a decider 22-25, 25-17, 25-18, 25-18 last Tuesday at the San Juan Arena. Finals MVP Regine Arocha led the way, scoring 16 points for Arellano; while Princess Bello added 12. After losing the opening set, Lady Chiefs came back strong in a tight second frame before pulling away on conversions from Necole Ebuen and Bello for a 22-15 advantage and never looked back. Arellano continued its dominance in the third period with a strong start off attacks from Arocha, Bello, and Carla Donato; building an insurmountable 21-11 advantage and a 2-0 set edge.